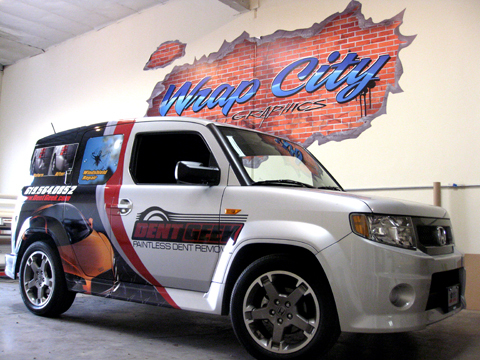 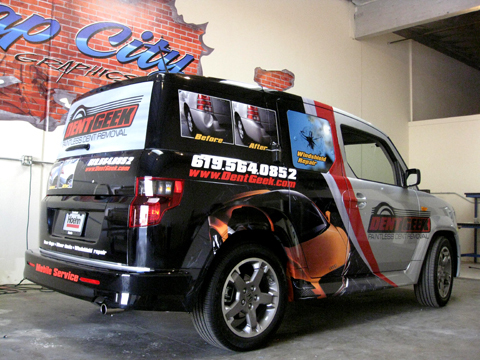 Today’s project was part of the “Real Deal” Package for Dent Geek Paintless Dent Repair; a 2010 Honda Element Wrap. 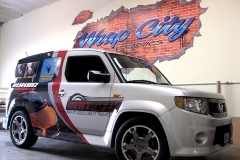 The wrap was designed, printed, and installed by Wrap City in just a few days. 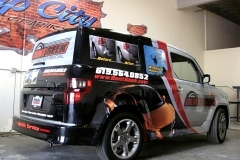 The deal included the logo design, vehicle wrap, business cards, and web site.